The advertising industry is taking steps towards building a more diverse workforce – but it still has some way to go. Wake Up With The Economist gathered the leading figures of adland to discuss the big issues of the day – and diversity in the workforce was one of their key concerns. 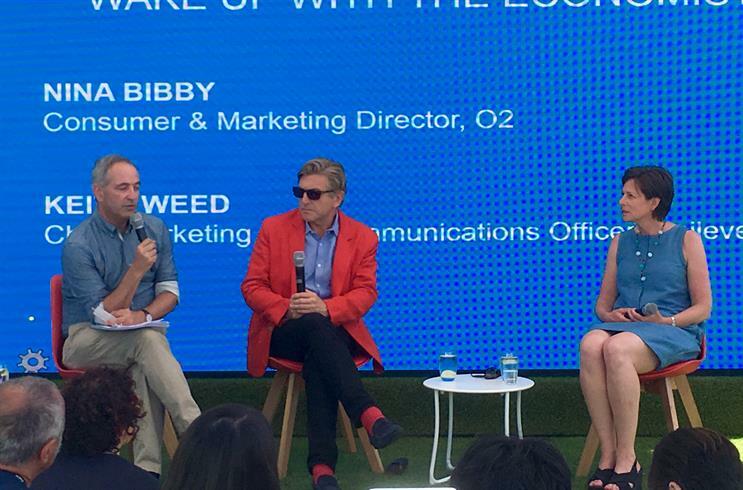 Nina Bibby, consumer and marketing director at O2, emphasised the importance of a diverse workforce. "We need to be more diverse because we need talent – and the only way you get talent is if you're actually going for talent across the entire spectrum," she said. "The best creativity comes when you have diverse and competing views in a room – and from that tension comes great ideas." Keith Weed, chief marketing and communications officer at Unilever, explained the challenges facing the industry as it tries to improve gender diversity: "If you end up interviewing five men and one woman for a job, the chances are that no matter how brilliant the woman is, out of probability you are going to probably end up picking a man because there are five men and only one woman." Unilever is taking steps to boost diversity in its workforce, conducting an audit of its workforce using a blind hiring approach. "We did an exercise internally of taking job applications, CVs and removing the name and then seeing how people were judged," said Weed. "On the Unilever board we are nearly 50/50 now." While adland's luminaries agreed that it's important to encourage diversity, the industry is still struggling with the issue, said Jonathan Mildenhall, CMO, Airbnb. "Unless it's a celebrity – which I'm not – there are no black faces in this industry," he said. "I see not as much ethnic diversity as I'd like; I'm really troubled and challenged by who I might work with to help to address one of the biggest problems affecting the Airbnb brand." Airbnb also tries to promote diversity through its advertising, he added. "Our marketing output is authentically diverse; we make big decisions when it comes to who to put into the advertising." While greater diversity in the faces of the marketing campaigns is important, he noted, "it's all about entry-level access. It's really important that we have ethnic diversity and gender diversity and religious diversity inviting and welcoming in people".